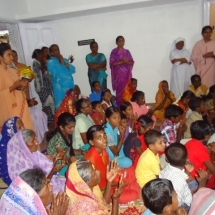 Baptistines under the leadership of Sr. Anice Aikkaramattam and Council started a community on 24th of April 1999 in the village of Savariarpattanam, Sivagangai District, Tamil Nadu, India. 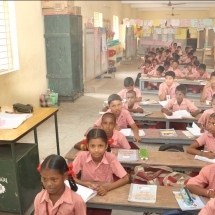 The mission was to teach in the primary school, especially the poorest of the poor. The pioneers, Sr. Josephine Vimala, Sr. Lourdu Jeya Mani and Sr. Irudaya Mary lived in a rented house for a year. 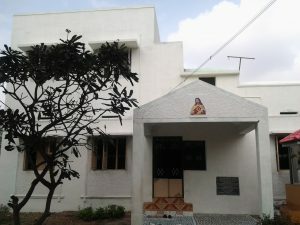 On 7th September 2001 sisters started living in the new Convent Building. 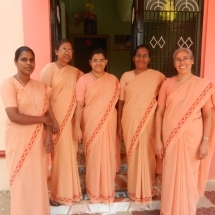 Sisters give integral education for school children, Faith formation, visit houses of the parishioners and the school children, guide them with counseling, conduct prayer services and participate in their struggles. Later a small dispensary was started on 22nd January 2006 to respond to the call of the villagers to take care of their health needs. Patients are benefitting by this service. Sisters also go to the houses to treat the bedridden patients. People are happy about sisters’ services for this village. Praise be to God!